your personal paradise oasis. When you enter the home the Great Room takes you from the Foyer into the Kitchen and into the Dining Room. This home features a full wall glass door and view of the outdoor living Lanai. With Three (3) bedrooms, two and a half (2.5) bathrooms this house is very coastal comfy at 2,209 square feet of living space. With the Outdoor Living room and the three car garage, the home has 3,451 total square feet. 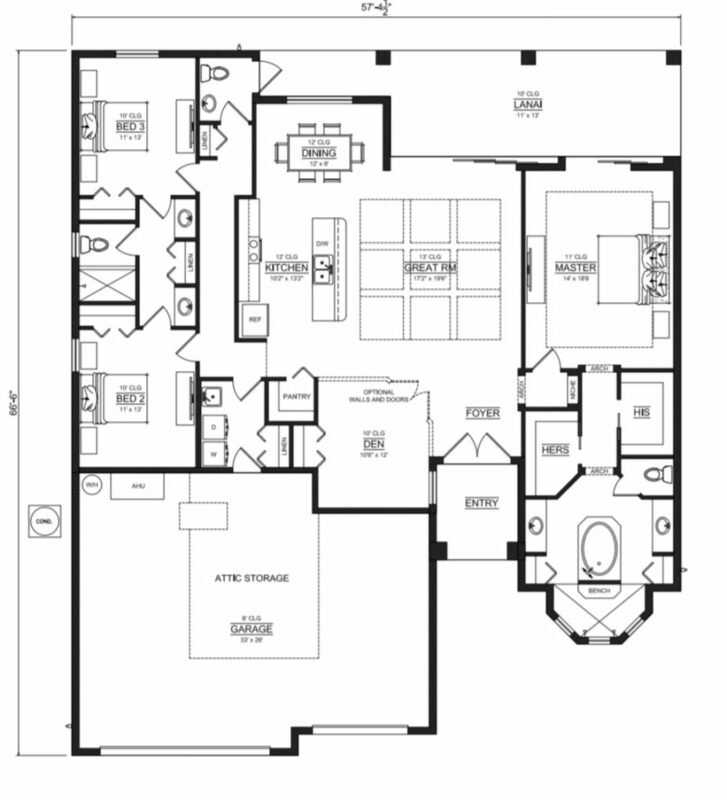 Our OASIS home also comes with a Florida Basement giving this home extra space galore. The OASIS pairs well with our Paraiso Pool. Come let us build you your very own private Oasis Home for a Modern world. Vista Ceiling Heights – 12”- 0” ceiling height in Great Room & 9’ – 4 “ throughout. The Oasis Elite Features Package includes the following upgrades in addition to the Classic Features Package listed above.